When its cold outside, nothing is better than being indoors with the family. This is especially true when a Polar Vortex is bearing down and it’s outright dangerous to go outside. What you may not know is that sometimes even indoors can become a death trap in frigid temperatures. There have been some unusually cold temperatures, some minus 37 degrees in certain regions. This has called for some city officials asking their citizens to turn down their heat to the low to mid 60’s because of a shortage of natural gas. More than two dozen people perished in the recent cold blast. This could have possibly had a different outcome had there been preventative maintenance on her apartment’s life-saving furnace. The furnace is one of those things many won’t even think to check unless something is amiss, it’s making noise, or they see a fluctuation in their bill. Still, a furnace, much like a car, must have a tune-up or preventative maintenance to maintain good running conditions. You don’t need it breaking down at a critical moment such as this one when roads and businesses are closed. Know who will be open ahead of frigid temperatures and don’t wait until it’s too late to call in a professional for furnace repair or inspection. Keeping your family and yourself occupied can really make all the difference. Here are a few ideas that have proven successful time and time again. No, I haven’t entirely lost my mind. You only take tissue paper in red and orange colors and use a flashlight to create a flames effect. Grab a few marshmallows, tell stories around the campfire! No logs? Use brown paper bags to create the illusion of logs. Be creative with it, do a cowboys and Indians theme, get the sleeping bags, let your imaginations take you wherever you want to go. Just don’t use real fire indoors on your camping adventure. Grab the nearest roll of masking tape and get a hopscotch game going. This gets everyone moving around and preoccupied. Charades is another great game to get you laughing and active. 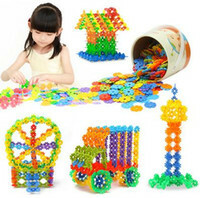 Try Twister or even sensory games to dispel some of that pent up energy. One idea that we just loved and which sounded like a ton of fun is to create a family work out video. After a while the obvious runs out. You have to get creative and have fun doing it. Let’s face it, the isolation won’t be a 24/7 party. There will be times when even the fun isn’t much fun anymore. This is a great time to get organized, clean up, or make some home improvements while teaching some very valuable life lessons. Accompany this with stories that your grandparents used to tell you about their childhood or your own. There is just something a little nostalgic about the stories and the values that are passed down through them. Show them how to cook, sew or whatever your heart desires. Scrapbooking and looking at old family photos are other great ideas and they learn about their history. Don’t fear to bring the outdoors indoors. If that sounds a little crazy, that’s ok, so is the weather. Use buckets and build a snowman right in your sink or bathtub. Additional snow play can be done on waterproof tablecloths on the tile flooring. Afterward would be a fantastic time to implement the above suggestion of cleaning and organizing. Show the kids how fort building is really done. Go all out. Use boxes, bedding and even decorations. Have fun with it and get as creative as you like. You can even camp out inside your fort afterward, make a day and a night of it! You can even use a tent. This is an activity only as limited as your imagination. It’s time for a dance off. This will get the blood pumping and laughter in the air. It’s also great for burning calories and pent up energy. You can even introduce the kids to some of your music back in the day and show them how to really boogie down! You can put on plays, shows and even go all out dressing up with the crazy hair and makeup. When it comes time to wash it all off, make a spa day out of it. Dare to challenge the gamer in the house to a gaming marathon. The younger ones can enjoy some learning games on the smaller devices while you show the older ones a thing or two about what you know. Board games are also a fun idea. After the kids are in bed, get all dressed up, have a romantic candlelight dinner with good music and talk about the things that you normally don’t have time for after work. Finding time to spend together when everything is hectic can be tough. Take advantage of the downtime. Cuddle on the couch and watch a movie, or make out in front of the fireplace. Whatever your heart desires, just make time for one another. There you have it. With a lot of love, a little effort, and some wild imagination, being inside with your family can get you through this intense Polar Vortex. This time can be turned into priceless memories and irreplaceable bonding moments that you will all be thankful for. Going organic is not just a trend, it is a lifestyle choice that can greatly benefit you, your family, and even your lawn. Yes, there are organic gardening methods that you can use in order get a healthy and lush lawn even during winter. No, we kid you not; organic gardening and lawn care is a thing. Did the thought of winter organic lawn care spark your interest? 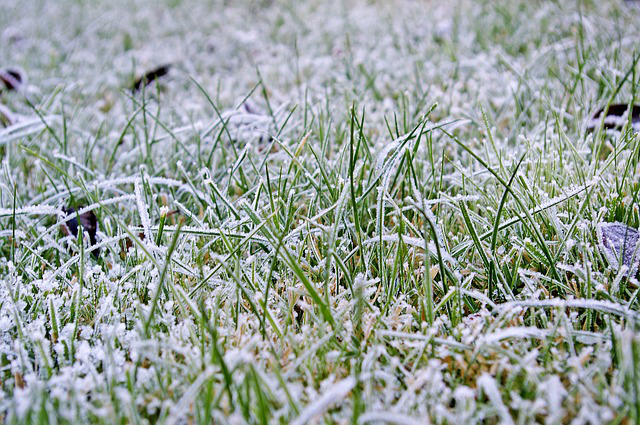 Here are some organic tips on protecting your lawn in winter. The first step in organic lawn care is changing your mentality. People succumb to the shortcuts presented by chemical fertilizers and pesticides because they think that their lawn is an inanimate object that just needs to look presentable. Pocahontas would have a fit; because your lawn and its soil are both alive. People usually go organic because they do not want to experience any potential harmful effects of indirectly consuming food sprayed with harmful chemicals. If that is the case; what do you think would happen with direct exposure? Because that is what you are doing to your lawn whenever you spray weed control chemicals, pesticides, and the like. Having your lawn’s soil tested can help you adjust nutrient imbalances earlier on. Lawn soil is prone to nutrient imbalances after summer. Making sure that you add the right amount of add-on nutrients before winter kicks in is key to having a healthy lawn during winter and a beautiful lawn come springtime. Knowing the type of grass you have is also an important step in organic lawn maintenance. It is true that there are more general ways of caring for your lawn regardless if it is a warm season or a cool season grass. But there are practices that are great for cool season grass but will not be so good for warm season grass. Forget about buying tubs of dangerous and expensive chemical fertilizer from the gardening section. Pile your kitchen waste, meal scraps, and fallen leaves in a shallow hole in the ground and turn it into compost. Add a good layer of compost your lawn’s soil before winter kicks in is an organic and affordable way of making sure that your lawn absorbs a lot of nutrients in order to survive the cold of winter. Furthermore, emptying out your compost pit before winter also has its own benefits that includes being able to start a new one in preparation for the next season. We almost do not need to water in the winter, but if the weather is too dry, then you should water 1 to 2 times a month. Using a sprinkler system is still the best way to irrigate your lawn, but outdoor sprinkler heads often freeze in the winter, so you should store a traveling sprinkler kit in your shed to apply for many different watering purposes. Although you will not be doing a lot of mowing during winter, properly mowing your lawn before your home welcomes the frosty season can do wonders. Lawn care experts suggest that you keep the grass as short as possible for winter. Cutting the grass short without prior preparation can negatively impact grass growth. That is why lawn care professionals suggest to gradually cutting the grass shorter starting late summer. This gradual change will help your lawn adjust in its dormant winter state and accommodate healthy grass growth come spring time. The same reasoning applies for objects left on the lawn during winter. Toys that are left in the lawn during winter can create dead spots come spring time. That is why, it is important to make a clean sweep of the lawn before winter sets in and avoid foot traffic. Weeds steal the nutrients that your grass needs to survive the winter. Therefore, killing weeds in winter is an important step as any other. Some organic lawn care experts suggest pulling weeds out, pouring boiling water on them, or smothering them with newspaper. Others advise to sprinkle salt on paths or in areas where your mower cannot reach to prevent weeds from growing at all. Practicing organic law care during winter is not that hard. If you just remember that taking care of your lawn is taking care of a living thing; then you are all set. Do you have a few organic lawn care tips of your own? We would love to hear from you. Share your organic tips on protecting your lawn in winter on the comments section below and let us learn from one another.